The Barbour Rossendale Quilted Jacket is designed to offer luxurious warmth and comfort with a relaxed fit, a longer length and a cosy baffle-quilted outer. 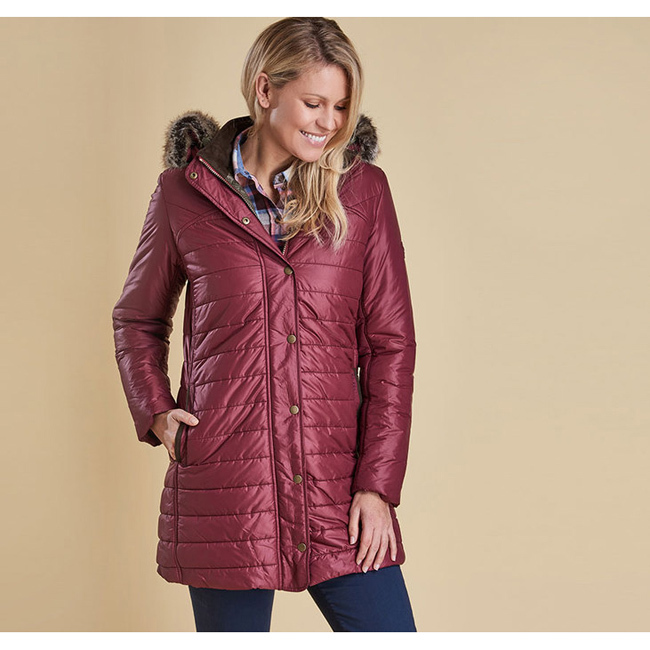 Suedette trims the inner collar and pockets, while the hood features a soft faux fur trim. Love this! So many pockets!